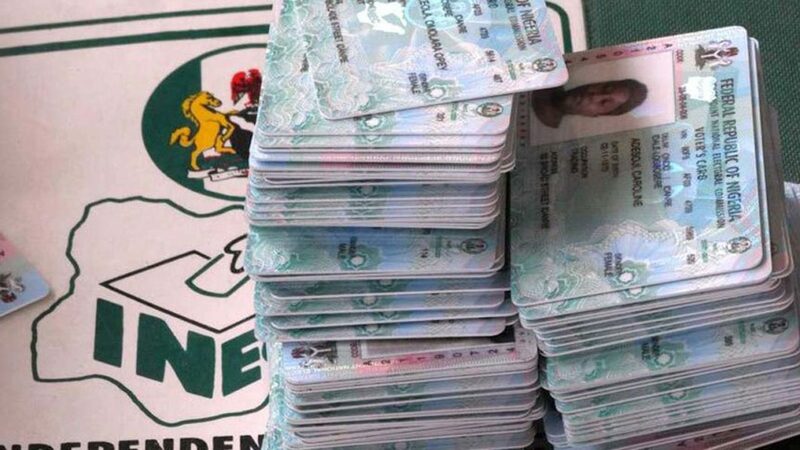 The Progressive Impact Organization for Community Development, PRIMORG says the huge number of PVCs lying idle in INEC offices nationwide is a danger to plural participation in the electoral process in Nigeria. PRIMORG, a non-governmental organization in its second week report on the on-going nation-wide continuous voter registration exercise heaps the blame on the attitude of those who have registered but who are refusing to pick up their voter cards. INEC puts the figure at nearly 8 million with Lagos alone accounting for over 1.4 million abandoned PVCs. PRIMORG also blames the 68 registered political parties in Nigeria for not doing enough to mobilize Nigerians to pick up their PVCs. According to the report of its monitoring exercise in the second week in Abuja area, PRIMORG has observed that people are not coming out to pick up their permanent voter cards (PVCs). It urges INEC to step up more enlightenment programmes to educate Nigerians on the need for registered voters to pick up their PVCs and not to seek to be registered afresh. PRIMORG however report that there has been a remarkable improvement in the processes deployed by INEC in the second phase of the Continuous Voter Registration Exercise which flagged off last week across the nation. PRIMORG, a non-governmental organization set up to campaign for more inclusiveness in the Democratic process in Nigeria in its report on the first week of the Voter registration, commended Nigerians in the Federal Capital Territory for heeding the call to come out and register to vote. • That registration centres observed opened at 9.00am and closed by 3.00pm with the Direct Data Capture (DDC) systems perfectly functioned and back up batteries also provided at the registration centres observed by PRIMORG. • There was strict compliance to the provisions provided for means of verifying/identifying prospective voters before processing registrants. The means of verification remains International Passport, National Identity Cards and Drivers’ License and government recognised birth registration certificate. • Security agents were absent in most of the registration centres observed by PRIMORG. This was observed in Mpape and Maitama registration centres respectively. • There was no record of attempts to intimidate or harass people at registration centres was observed throughout the week. Disruption or interference was equally not observed. Similarly, there were no incidents of violence or intimidation at registration centres. Substantial improvements from what observed in the first week of the exercise was reported which indicates that INEC effort in ensuring that challenges are identified and addressed was timely. However, there is need for public sensitization to encourage those who have not collected their PVC to do so now that the cards are available in the registration centres. In order to understand the success of the voter registration exercise, INEC should make it a routine to release vital information on the ongoing CVR exercise. This will largely help to calm nerves and allay any fears as may be nursed by members of the public. PRIMORG has made available the observations and recommendations of the second week of the exercise to the coordinating secretariat at FCT INEC office. PRIMORG is registered in Nigeria with a mandate to enlighten and mobilize Nigerians to participate in the democratic process leading to more inclusiveness and transparency in governance. It carries out its mandate through citizens’ engagement in town hall meetings, media publicity, conferences, rallies and electoral processes observations. Finally, PRIMORG commends Nigerians for their resilience, conduct and participation to date.